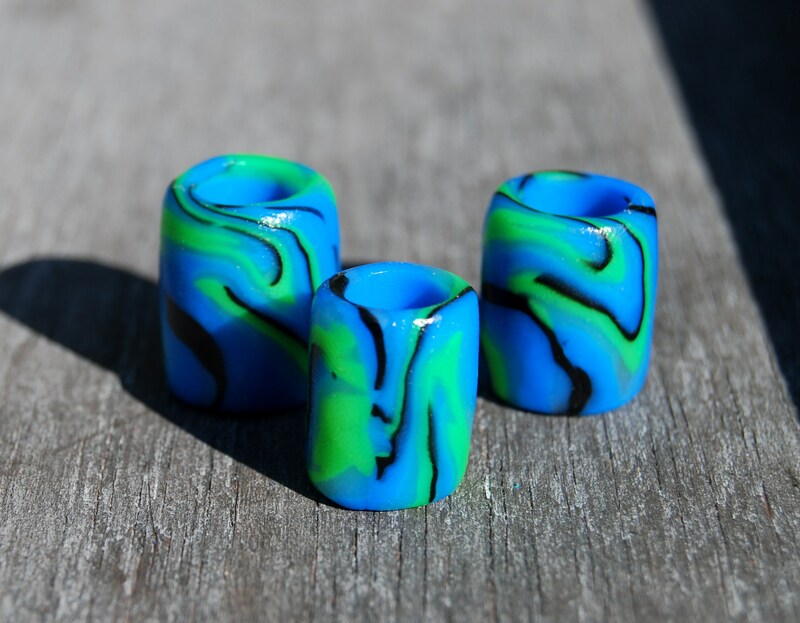 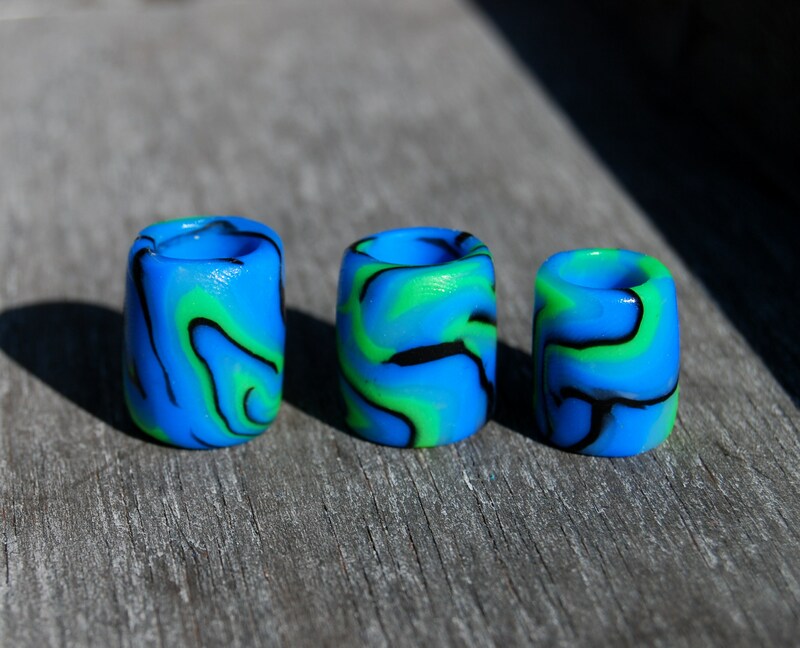 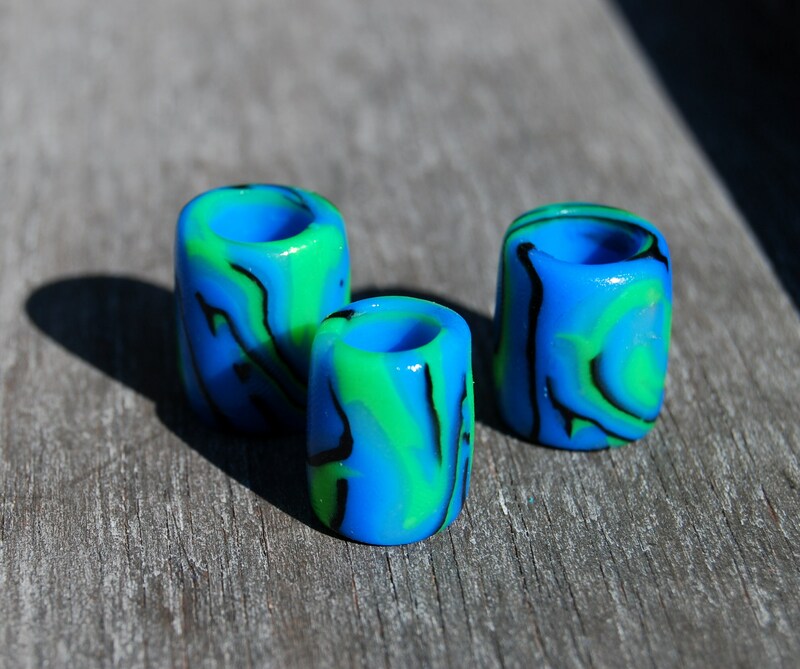 This set of 3 dread beads is sculpted by myself with colored clay. 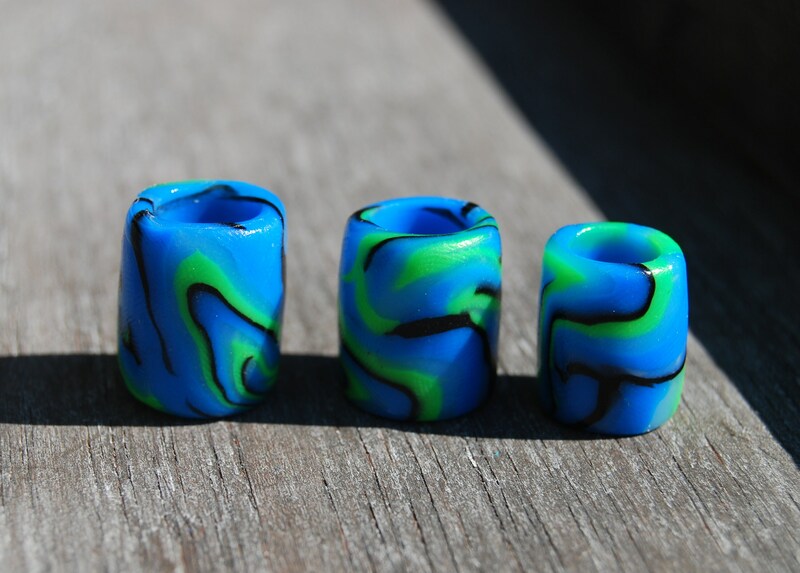 You will get the beads as shown in the pictures. 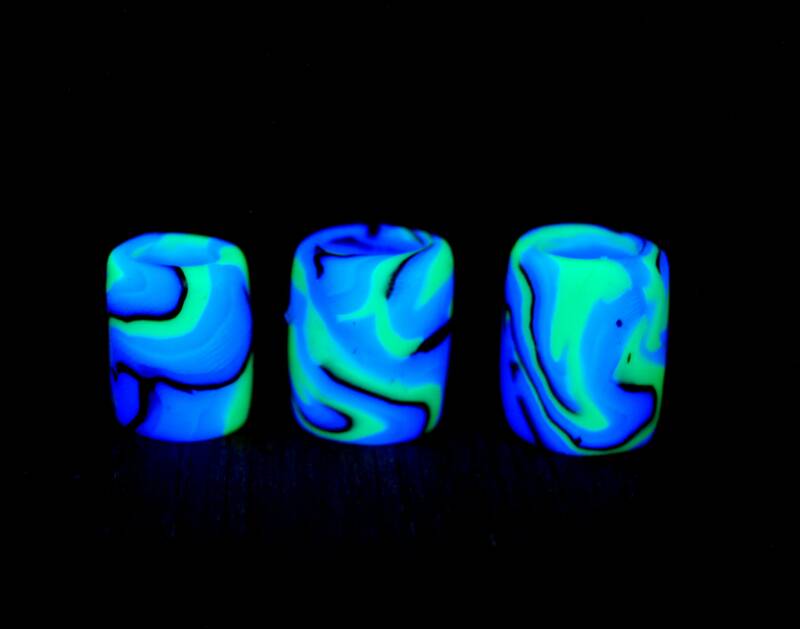 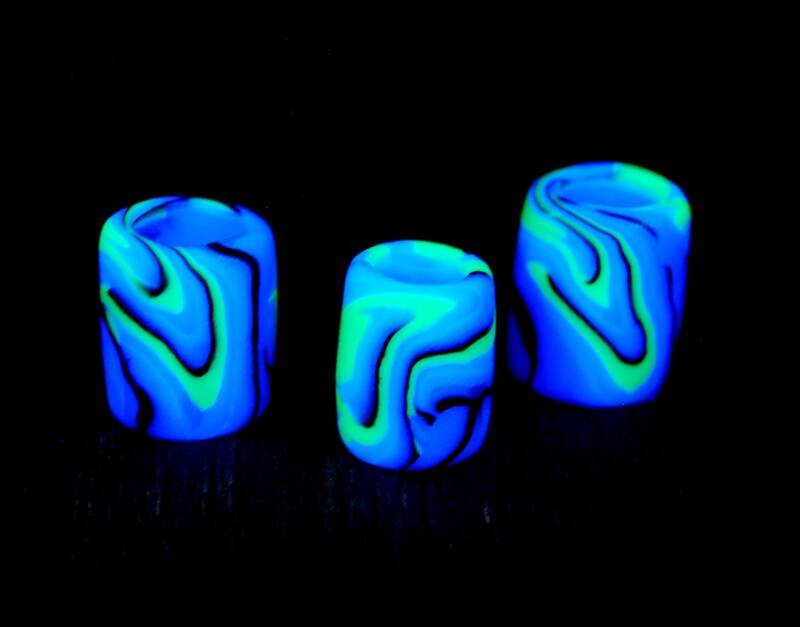 They are made with blacklight reactive colored clay so the glow in blacklight. 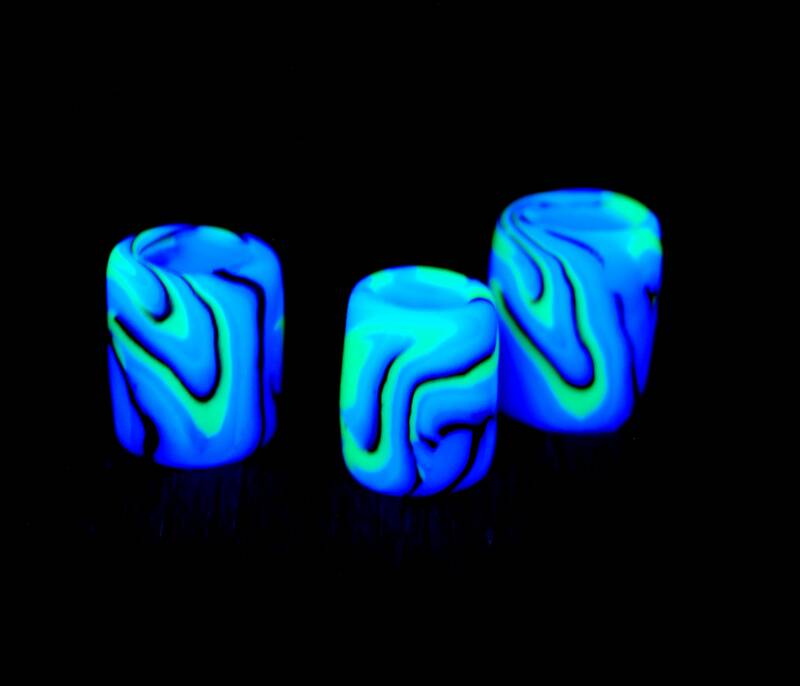 The material is very durable and also washable. 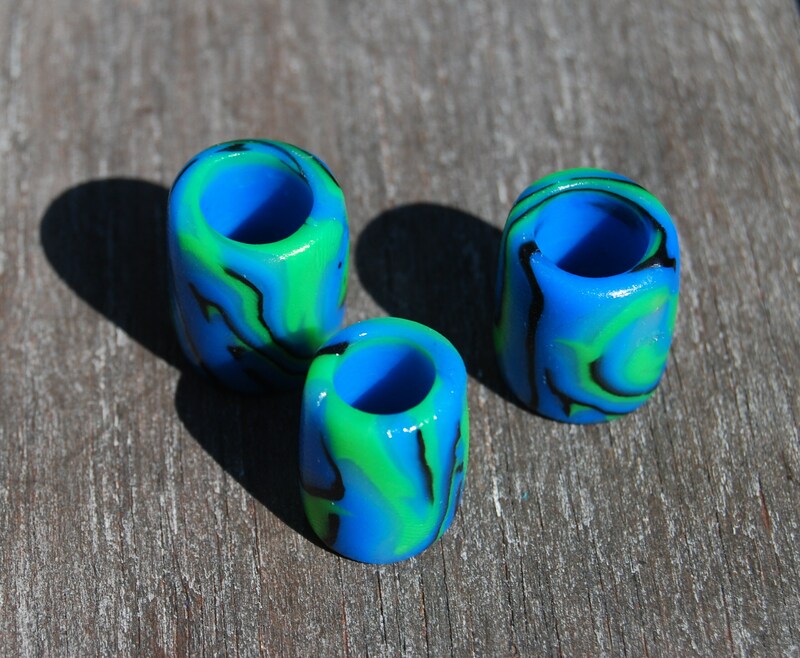 You will get the three dread beads as shown in the pictures. 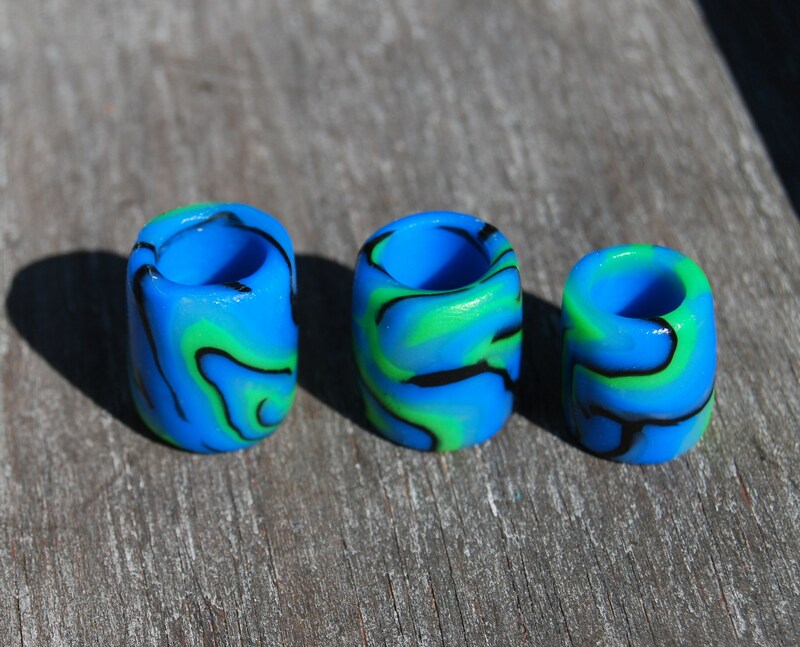 They have around 10 mm / 0.39 inches holes (for medium dreads).